Visions of Hell: STH stormwatch 06Dec2013 :Depression in Bay Bengal. STH stormwatch 06Dec2013 :Depression in Bay Bengal. 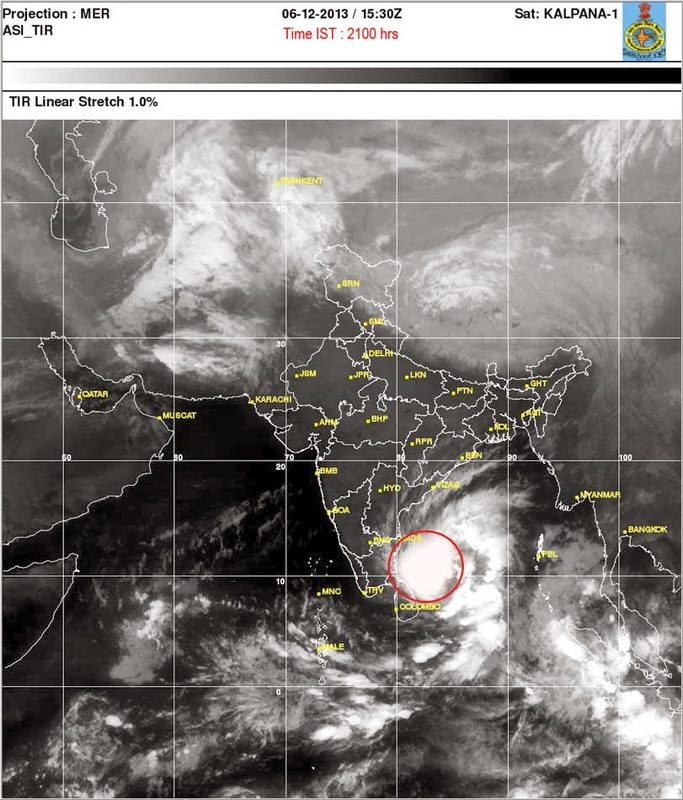 The depression over southwest Bay of Bengal remained practically stationery and lay centred near latitude 10.0° N and longitude 84.0° E, about 530 km southeast of Chennai. The depression over southwest Bay of Bengal would concentrate into a deep depression during next 24 hours and subsequently into a cyclonic storm. It would move nearly northwards slowly during next 48 hours and then recurve north northeastwards.